I want to talk about the actual practical experiences of a disabled student with mental health conditions applying for courses at college and the frustrations/challenges I encounter. I am a young adult who is frustrated about the way the education system treats disabled students even before a student officially joins the college. Disabled students have more hurdles to go through compared with able-bodied students and the process takes a good deal longer than normal. These experiences damage our self-esteem and self-belief and stress the people who care for us, having an impact on the young adult’s family. Not being able to fulfil my ambitions makes me tired, wears me down, makes me feel useless and worthless as I feel like I cannot contribute to society. I might be disabled but that doesn’t mean I don’t want to have a career and be as independent as possible. 1. I will find it too physically active or demanding. 2. I will not be allowed/the college are not prepared to allow me adaptations to be able to do courses. 3. I will find course work or exams too hard or stressful. 4. Colleges I have been to are thrown when I talk about my mental health conditions as they do not know how to respond to this, let alone how to help me with this on a daily basis. Going through constant rejection with no after-care support or guidance on courses we could do instead deeply impacts on our mental health. This then can turn into a vicious circle which seems to never end and you can’t see a way out. It becomes scary and frightening and this makes me feel more stuck and trapped as well as extremely fearful of my future: from not only job searching but making sure that I do not become more unwell, unable to give back to society. We all have dreams and hopes for our future and this isn’t any different for people with disabilities, mental health conditions or long term illnesses. This makes us feel concerned about the future because we know we can give back to society and,yes, that might not be in a highly paid job but we want to feel valued and feel more accepted by society. We are all different with different skills to bring into different industries for example, catering, health care or retail. Just because we are disabled doesn’t mean we don’t have anything to offer! In fact we are have a lot to offer; we are determined, resilient and strong. Due to our disabilities we have to come up with new ways to be able to do something an able-bodied person may find easy so we are also great at problem solving! Sometimes our brains work in different ways so we see things differently to others. This means we may be able to notice things others may have never noticed before. Some of us are really good at remembering information and routes like buses and trains timetables or maybe information on other countries. This means that maybe someone with a disability could actually be a fantastic asset to a business! You might have heard about a very popular hashtag used in the disabled community at the moment. The Hashtag #disabledpeoplearehot created by Andrew Gurza has taken the online disabled community by storm. Disabled people from all around the world are now using this hashtag all over social media. 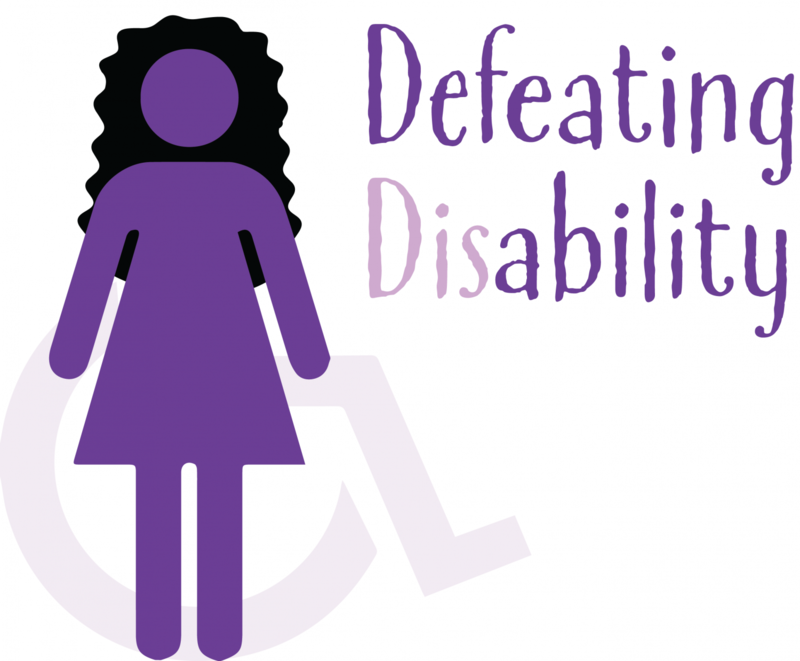 As a young disabled women I love this hashtag; I think it has such a powerful message that all of us disabled or not could learn from. Just because we might not fit into the social norm doesn’t mean that we are not like other people our age. Yes we might have to go to more doctor appointments or use aids to help us get around but that doesn’t make us not “pretty” or “hot.”What is the definition of beautiful? What is the definition of hot? What makes us attractive? We are all individuals if everyone was the same life would be boring. This hashtag I believe really helps to challenge the stigma around disability and dating. Sometimes if a disabled person has a boyfriend or girlfriend others automatically think that their partner is also disabled. If a disabled person is dating an able bodied person others might just think they are friends or that the other person is their career. It can take others by surprise that a able bodied person is dating or going on a date with a disabled person. This hashtag helps to challenge society’s views on disabled people finding love and having a relationship. Finally I think that this hashtag helps to empower the disabled community. The hashtag helps others to build up confidence as well as helping people to feel proud of who they are in a time where there is a lot of peer pressure to look a certain way that could be that through the media or school life in the playground. 1. Dance does not just help me to stay more fit and active; I find that sometimes dance can help me to express my emotions through a creative outlet without me having to talk to express my emotions and thoughts. 2. Dance helps me to improve my balance as we do a lot of warm up activities that make us need to focus on our balance but also I may need to balance when preparing to do high kicks in our dance routines or fast turns. 3. My disability makes it really hard for me to know the sequence of events. So having to do a dance routine really helps me to work on ways to try and remember a sequence due to the fact that our dances have lots of fast moves one after the other and can be quite quick. 4. I find that we have to use our core muscles a lot to help us stay up right when doing kicks or lifts. So I have found that my upper body strength is improving and that I am able to use my core muscles a lot better now when dancing. 5. I find eye, hand coordination tricky at times however dance helps me to use different parts of my body at the same time. I have found that listening to the music when dancing helps me to keep the rhythm and beat of the dance I am doing. 6. I have found that dance has also helped me to loosen and relax my hand strings. This has helped me a lot as I know can get dismount of the horses and ponies I ride as well as when I am in my riding lessons my legs are more relaxed and not so tight gripping onto the horse. I remember when I first found out about this online community through Instagram. On Instagram they share stories of many different disabled people from around the world. When I looked at the website a big smile grew across my face. This was because I found a place where disability was embraced and not laughed at. YOOCAN is an online community where people with disabilities from all over the world can share empowering stories about living life with a disability. Here people write about many topics for example they might do a product recommendation . Or write about what it is like to travel with a disability. Another topic I love to read from is all about other people’s hobbies. I can’t say how many stories I have read about covering so many different topics. When reading others stories and experiences I feel that I am not alone. I also feel that others get it and understand. It’s a great way to get tips and tricks on things I may find hard to do such as cooking. I have got some good fashion styling tips as well. For example when I wore a splint at school I was bullied for this and wearing one made me feel very self-conscious. I didn’t like showing it so wore trousers quite a lot even in summer. Kids bullied me because I couldn’t wear girls and women’s shoes I had to wear boys shoes as my splint made my shoe size bigger etc. By reading other people’s stories I realised that I wasn’t alone in feeling self- conscious and being bullied for wearing a splint. Reading others experiences made me feel that I was not a freak. I felt like a freak a lot of the time at school as that was one of things other kids called me. One of the big reasons I love YOOCAN is how people write about their stories and their experiences they have had in a positive way but also keeping it real. Being part of this community definitely helps me with my confidence and self-esteem as I can also write about my experiences; I find I can really relate to others with thoughts about being a disabled young adult on topics such as having to need more support than others my age. Or when my friends wear high heels but I have to wear flats. Just the simple small day to day things that you wouldn’t really think about or notice. Lastly I think YOOCAN slogan “do anything” is so positive and sends a very powerful message to everyone. Just because someone has a disability that doesn’t mean they don’t have ambitions and dreams. It doesn’t matter who you are your dreams can come true!